Grab a popcorn piece and build a word with that beginning blend or digraph. Pull out a POP kernel, and all your pieces go back! With 5 levels of play, this game is for everyone! After one of the 220 Dolch sight words is called out, use your swatter to swat the word on the matching fly. Collect the most flies and win! For 1–4 players. Swatters measure 9”L each. Look, SPLAT, Spell, Check – WIN! The rules of these fun spelling games couldn’t be simpler. Tackle over 200 high-frequency and common exception word spellings. Play in pairs, spell words correctly and be the first to get three in a row to win. Master early years language concepts, whilst having lots of fun with this deck, through either Snap or Pairs. For example, playing Snap with this fantastic deck of cards, you are trying to snap sections of words together, such as ‘c’ and ‘at’ to form ‘cat’. To play Pairs, simply turn all the cards upside down and turn two over to see if they match. If they do, then you keep them; if not, you turn them back face down. The aim is to collect all the cards. Two fun games in one that help children learn fundamental language concepts. Game features two levels of play; recognising single sight words and reading sight words within captions. The four game cards are laminated to lengthen their life and allow them to be wiped clean. Includes spinner, 36 disks, four caption cards, four game cards and multilingual activity guide and packaging. For 2-4 players. Super Powerful Magnets enclosed in colored building shapes. Build carnival rides with these mutli-colored shapes. Engineer your own fantastic designs using these powerful encapsulated magnets. Instructions included to build many shapes. Lock and unlock the pieces at your command. Everything that is needed is enclosed. 144 magnets included in 46 magformers. Magnetic construction set, with 62 pieces (30 squares, 20 triangles, 12 pentagons). 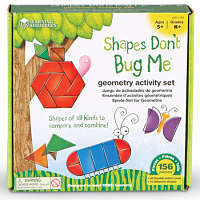 Includes step by step idea booklet, showing how to turn 2D shapes into amazing 3D models. Easy and simple to use the rotating magnets sealed in every edge always attract and never reject making construction for young hands simple and fun. Build geometric shapes like a rhombi cuboctahedron, dodecahedron, and other mathematical structures.